You know you need to apply the urgent Apple security update on your jailbroken iPhone. 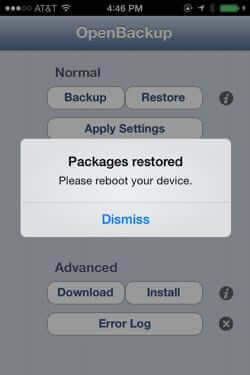 While you can’t do it without restoring your iPhone to its unjailbroken state, it’s very easy to get the update installed and then rejailbreak your iPhone. Here’s our step-by-step tutorial for how to install the iOS security update on your jailbroken phone, with screenshots. First, the bad news. 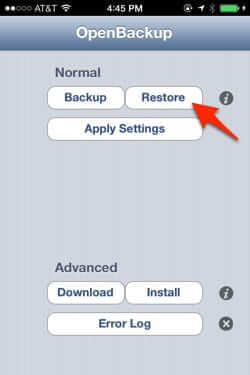 You will need to restore your iPhone to its original factory settings, and you will need to update to the latest version of iOS 7. Now the good news. 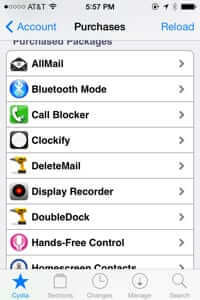 There is a stable, untethered jailbreak for iOS 7, and it’s very easy. Now, even though you have made your backup using OpenBackup, we strongly advise you to make a list of all of your Cydia apps (or take screen shots of them). 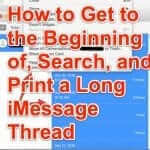 Connect your iPhone to your computer with a USB cable, open iTunes, and back up your phone. 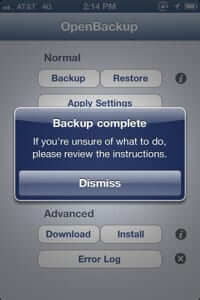 Be sure to uncheck the ‘Encrypt iPhone backup’ box (and if you usually do encrypt your backups – and good for you if you do! – be sure to recheck the box when you are all done). 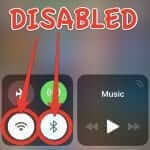 This is critical: keep your iPhone connected via the USB cable to your computer and update through iTunes. Do NOT do an over-the-air (OTA) update. 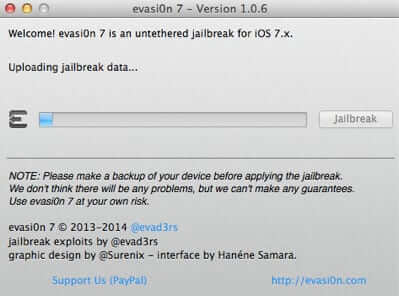 To get the evasi0n 7 package, download evasi0n 7 here. 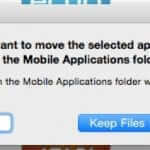 Put the resulting file in a folder, on your desktop, called “evasi0n”, and double-click it to extract the evasi0n archive. 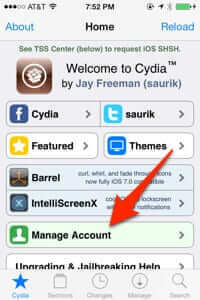 Read the README file, and follow the straightforward instructions, and install evasi0n to your iPhone. …and with messages like “Reading Kernal”, “Setting up Cydia”, and “Continuing with Boot”. 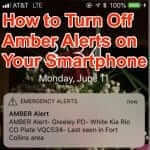 Some of these messages can stay on your screen for a long time (particularly the “Reading Kernal”), causing you to freak out and worry that you have bricked your phone. Don’t worry. It will reboot and come up, it just may take a while. 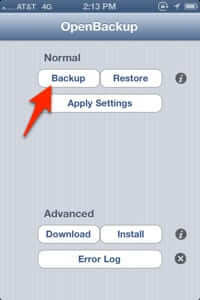 What if OpenBackup Doesn’t Restore All of My Cydia Apps? Now, here’s the thing. Sometimes OpenBackup doesn’t actually restore all of your Cydia apps and tweaks. But fear not. Because here’s the nifty thing about Cydia. Once you authenticate your account, all of your purchased Cydia apps are listed for you, and you can just click on each one and reinstall it. 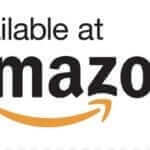 Note: this is the only time that we will ever suggest that you may want to authenticate with Facebook – which you can do even if you previously authenticated with Google – this is because after the reinstallation of each app, you will have to re-authenticate, which is a big hassle if you are using Google’s two-factor authentication – which you should be. Also, for many Cydia apps, after they are downloaded you will be prompted to respring, which takes time if you have to do it – after every download – for a lot of apps. 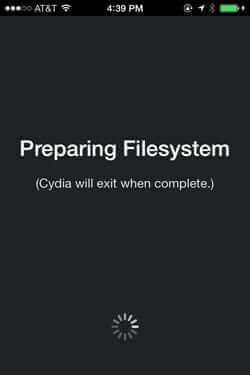 We have found that you can bypass this until the last one by, when it says “respring”, instead hitting the home button on your phone, and going back into Cydia. Of course, this is only your purchased apps, and this is why we told you to make a list or screenshots of all of your Cydia apps. We hope that this tutorial has been helpful!